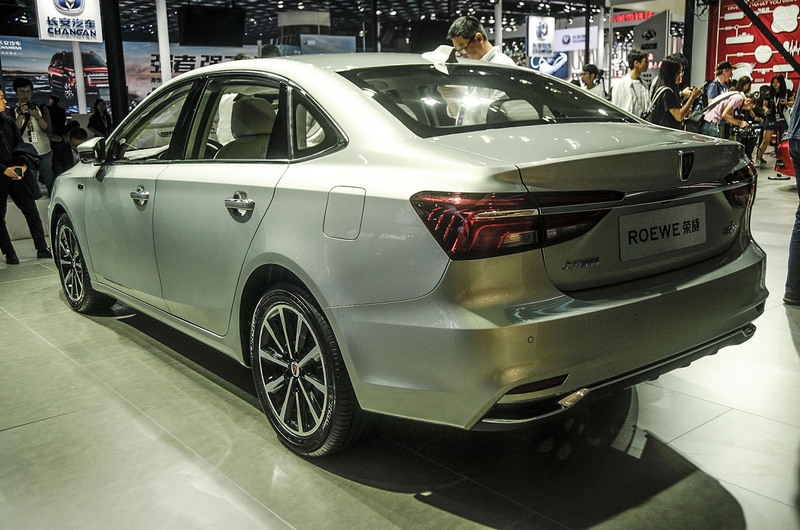 The next-generation MG 6 is expected to be based on the Roewe i6, which was unveiled at the Guangzhou motor show today. In China, the i6 will have three powertrain options: a 123bhp 1.0-litre three-cylinder petrol engine with 125lb ft of torque; a 1.5-litre petrol unit also used in the MG GS, which produces 164bhp and 184lb ft of torque; and a plug-in hybrid option, which combines the 1.0-litre petrol unit with an 82bhp electric motor. These engines are also likely to feature in the MG ZS small SUV, which will also come to the UK after a London motor show launch in May 2017. The current MG 6 is based on the Roewe 550, which arrived in 2008 using a shortened Rover 75 platform. By 2010, the saloon had morphed into the MG 6 hatchback. Reports suggest that MG may drop the 6 model name and use ZT instead as it moves back towards a lettering system to define its cars. The rear looks like the current Avensis. Front has too much chrome for my tastes. 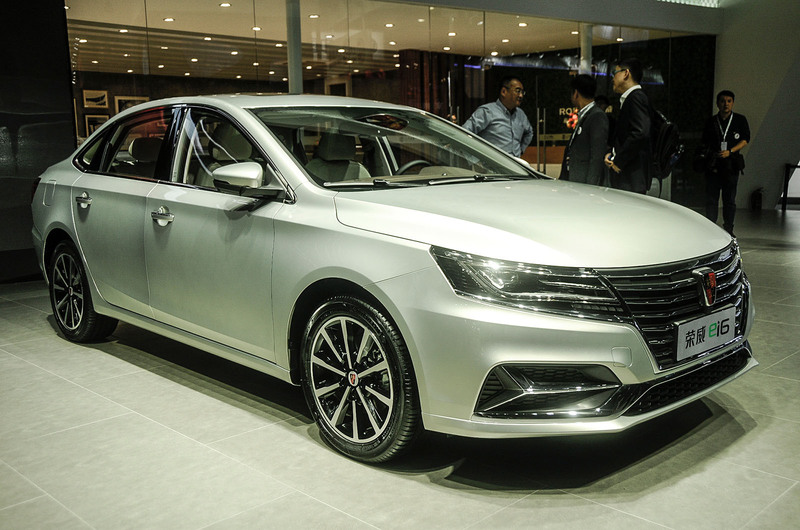 I think it looks like a Passat, like MG Roewe seems to have thrown out any form of individuality and now its cars just look generic. As your average UK buyer likes Eurotrash cars, the Chinese have to try and give them what they want. No use being sentimental when most of the UK car buying public is brainwashed into buying German or French. "The current MG 6 is based on the Roewe 550, which arrived in 2008 using a shortened Rover 75 platform." Not correct; there were certainly Rover 75 parts and some of its technology but it was a new platform, developed by Ricardo 2010. Nobody will buy them in the UK just like the current model, just kill them off now. I fear you may be right but people would not be buying because MG are rubbish cars (they may well be perfectly acceptable - I'v not driven one, so can't comment). The problem for MG is not the cars, it's the lack of any media presence. A frankly pathetic marketing attempt featuring widely ridiculed TV advertising which was more akin to a piece of GCSE Media Studies course work, had done more damage to the marque. What an outlandish statement from someone who admits he's never even driven an MG. "Can't comment..." so why have you? Believe me, MG cars are certainly NOT rubbish. My MG ZT sports Auto is now 14 years old and has been flawless. Its more than a match for its peers. Stunning to look at and still looks and drives like new. I recently bought a Chinese MG (GS Execlusive) WOW! Its definitely living up to the MG name. Only one drawback - it isn't British made. That said, its still a superb product. Advice... stick to what you know and not what you think you may know! My apologies, Sire, I should perhaps made it more clear: my apparent saying 'MG are rubbish' is NOT my opinion. As somebody who owns and uses a diverse collection of cars, I would not offer an opinion on a vehicle I've never driven.
. . . The problem for MG is not the cars, it's the lack of any media presence. The current model was axed in the UK, nobody buys D segment saloon/fastback hatch models, their SUV will fill the void.